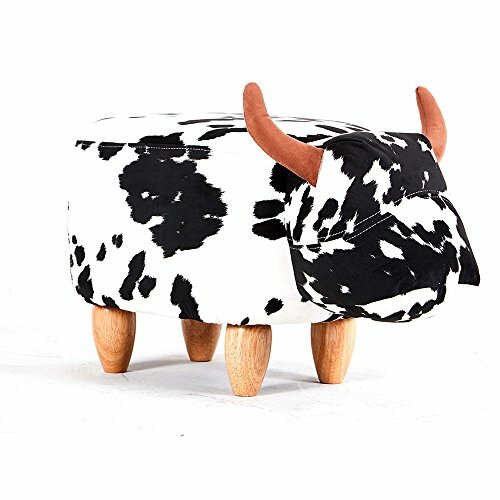 Modern Home is proud to offer a new line of stool/ottomans in unique and fun animal shaped designs. Constructed of only the softest most plush materials, each stool is finished with real rubberwood legs that are carved to add to its sturdy design. Each stool is well padded and uses the best quality materials and stitching. Available in a variety of designs, you can choose the right animal for your kids room decor or anywhere around the house. Stool base measures 24" long by 14" wide and 14" tall. Dimensions: 24" x 14" x 14"